The Aldeburgh Classic Boat Festival will take place on 3 and 4 September 2016 and it looks like the BODs will be well represented! BODOA Secretary Fiona Brown is liaising with the organisers regarding the logistics and would appreciate confirmation from those who hope to attend to help her ensure plans are in place for us. If you would like to do the event please can you go to http://goo.gl/forms/RDb6Ih0PhjC0TFxb2 and give Fi as much info about your plans and requirements as possible (no commitment required at this stage – just an indication that you hope to take part). The rough plan is for the first race on Saturday to be at 13.00 with two races planned and on Sunday a single race starting at around 11.00. If you haven’t raced at Aldeburgh before rest assured you will feel very much at home with marshes, tides and mudbanks. Our photo shows the Aldeburgh Loch Long One Design fleet in action giving you a pretty good idea of what to expect. Breakfast will be served in the club on both Saturday and Sunday and there will be an informal club supper on Saturday night followed by live music with The Random Blues Company. 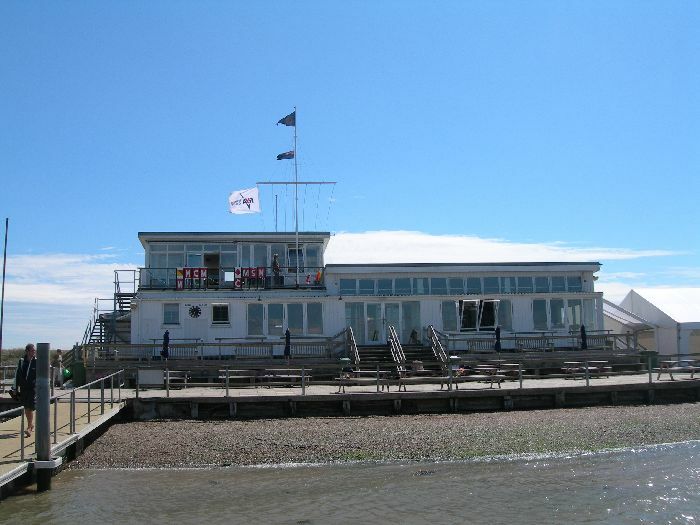 Aldeburgh Yacht Club is right on the river with gorgeous views out across the river Alde and the marshes which are a nature reserve. Aldeburgh is a fantastic place for friends and family too with lots to do, great shops, cafes and restaurants, a lovely beach, loads of options for walking and of course the nature reserve mentioned above. The world renowned Snap Maltings is only a short drive away with its independent shops specialising in unusual and unique gifts, furniture, cookware, home furnishings, children’s toys, books and stationery to name but a few, as well as a to die for food hall. All in all Aldeburgh truly is the place to be on 3 and 4 September so please go to http://goo.gl/forms/RDb6Ih0PhjC0TFxb2 and give Fi your details if you think you would like to come.